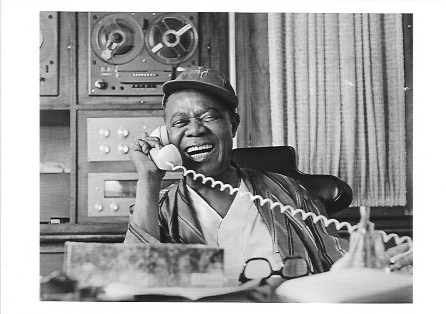 The walls can talk in Satchmo’s house. Literally. 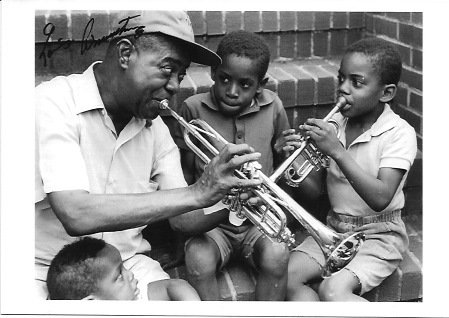 Standing in Louis Armstrong’s den in his longtime residence in Corona, New York, we heard his perfect rumbling tones describing his inspiration for What a Wonderful World – the children of his neighborhood in Queens. The docent had pressed a button. The effect was magic. We were visiting the Louis Armstrong House Museum, where the atmosphere created by Pops and his wife Lucille has been impeccably preserved. It was the house’s tenth anniversary as a public destination. A celebration was underway. 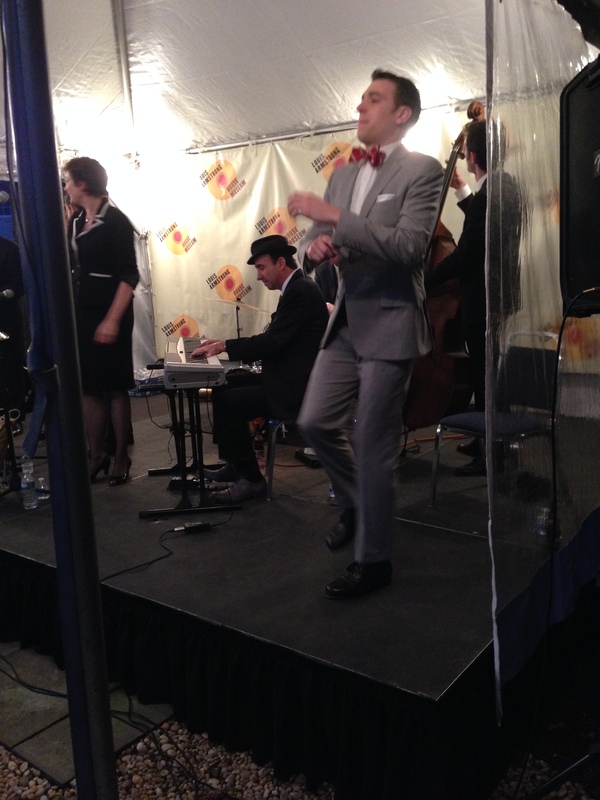 A group called The Hot Sardines had a throwback style and even a peppy tap dancer, dressed in the current men’s fashion of skinny, tight suits. 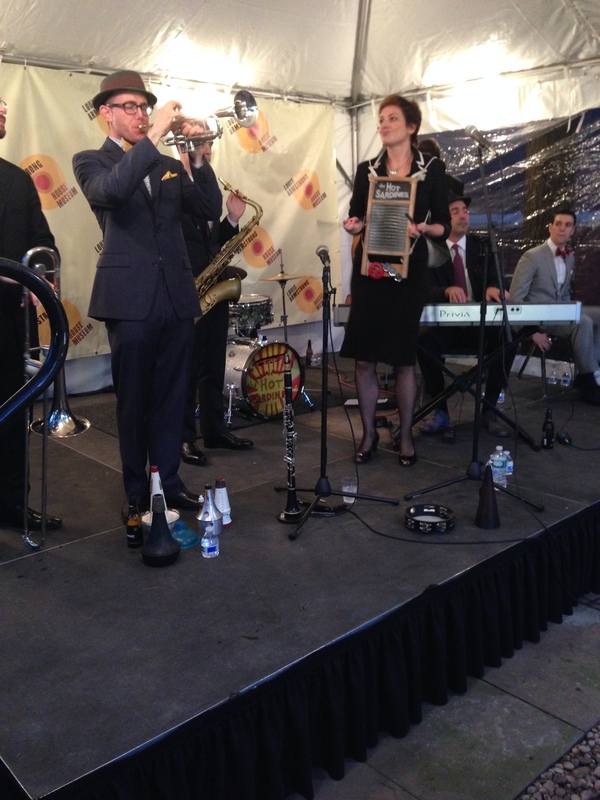 There was a powerful trumpet player who might have felt a bit under Armstrong’s shadow. The singer called herself Miz Elizabeth and the dancer was Fast Eddy. Basin Street Blues and Ain’t Nobody’s Business mingled nicely with the jingle of the Mister Softee truck making its way through the neighborhood. 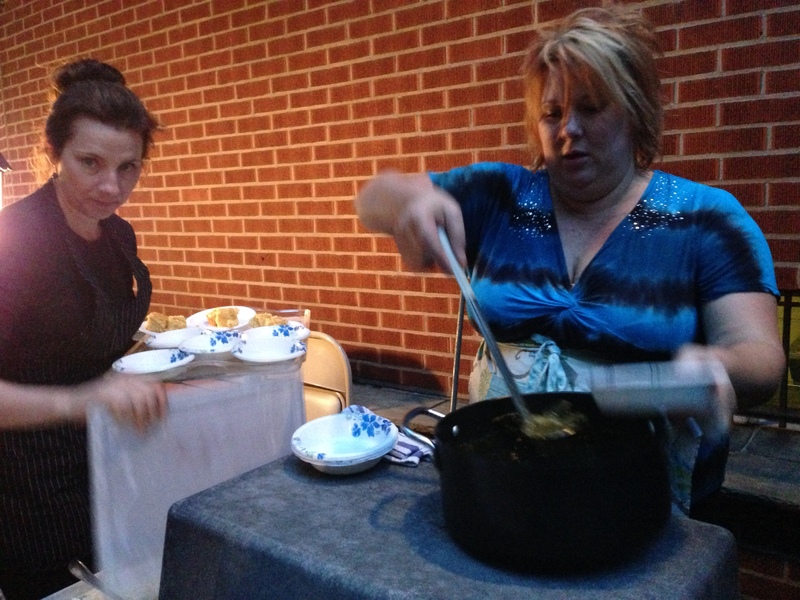 Waiters came around bearing paper bowls of gumbo — “based on Louis’s own recipe” according to the museum — prepared by The Cooking Channel’s Tamara Reynolds and her company, Van Alst Kitchen. The cornbread squares were properly crumbly-chewy. We went back for thirds on the gumbo. “There are some people that if they don’t know, you can’t tell them,” Armstrong said. Anyone that couldn’t feel the swing in the air of this little Japanese-inflected garden in Queens would have to be unconscious. After Miz Elizabeth delivered a soulful rendition of Sophie Tucker’s great signature tune, One of These Days, we ventured inside. A time capsule. 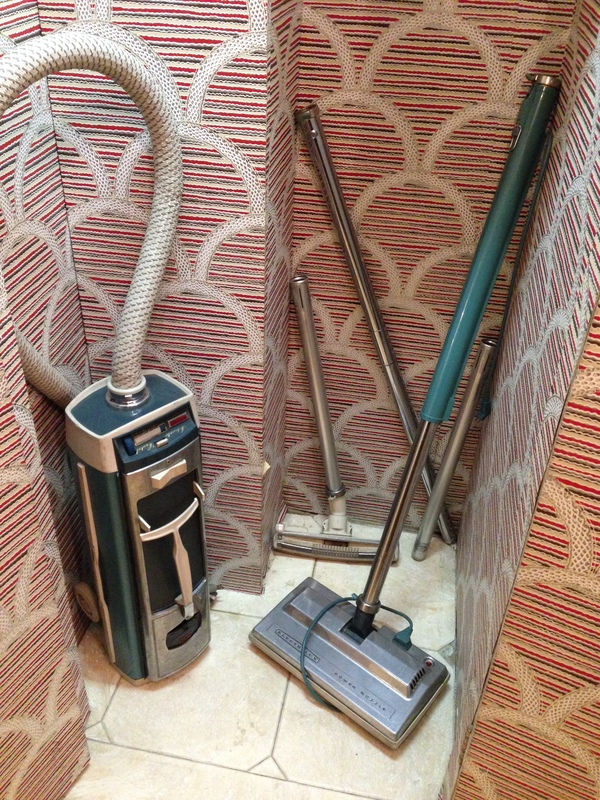 Everything was exactly as it had always been, down to the knick knacks and the vacuum cleaner. 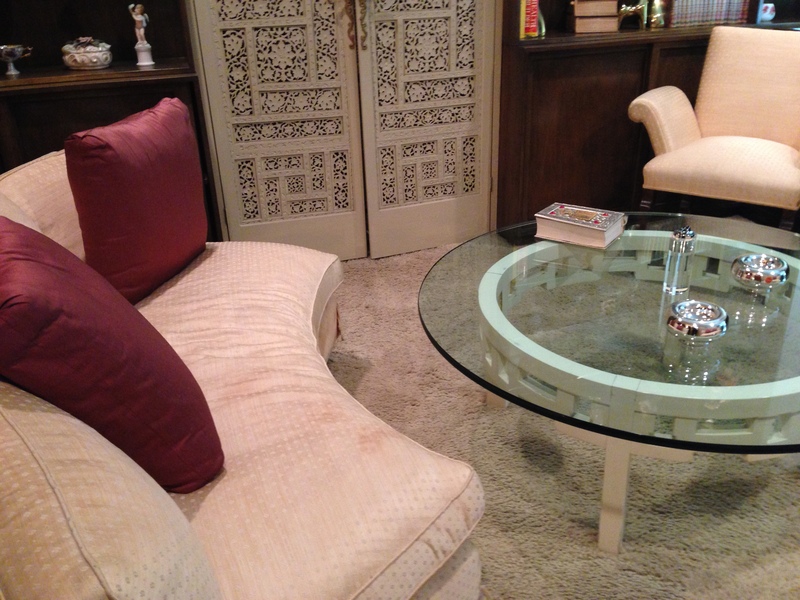 Lucille, a Cotton Club dancer, made this a showplace, a glitzy but cozy habitat. She had found the house while Armstrong was out touring, she bought it, fixed it up, and gave him the address, so when he came back from the airport in a taxi he drove up and didn’t believe it – That’s not my house! he said. Or so a docent told us. Everything is from another age. 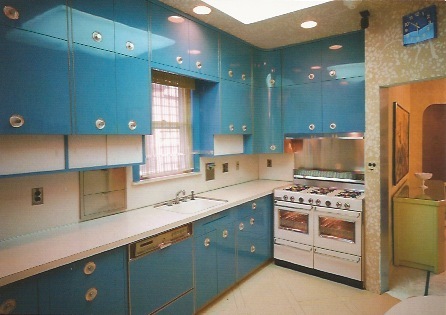 The kitchen has glossy turquoise cabinets. 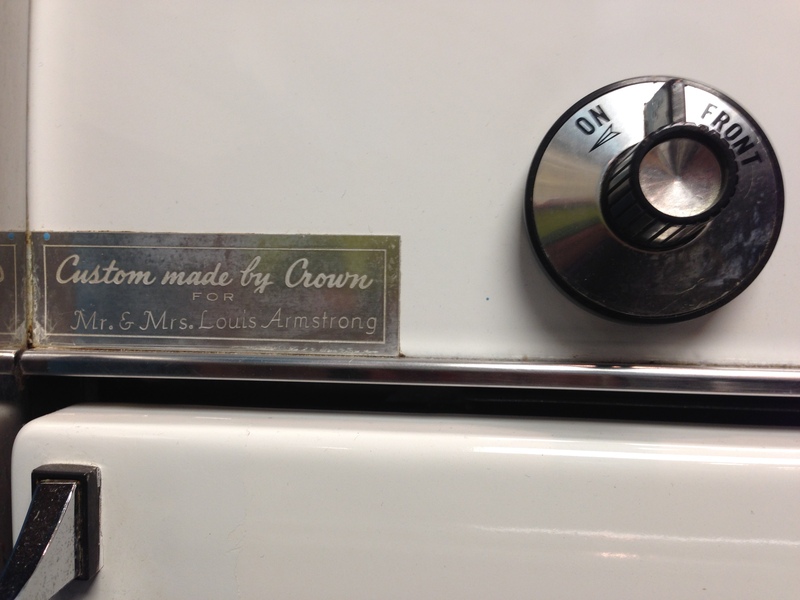 And a stove to which a personalized nameplate was affixed. 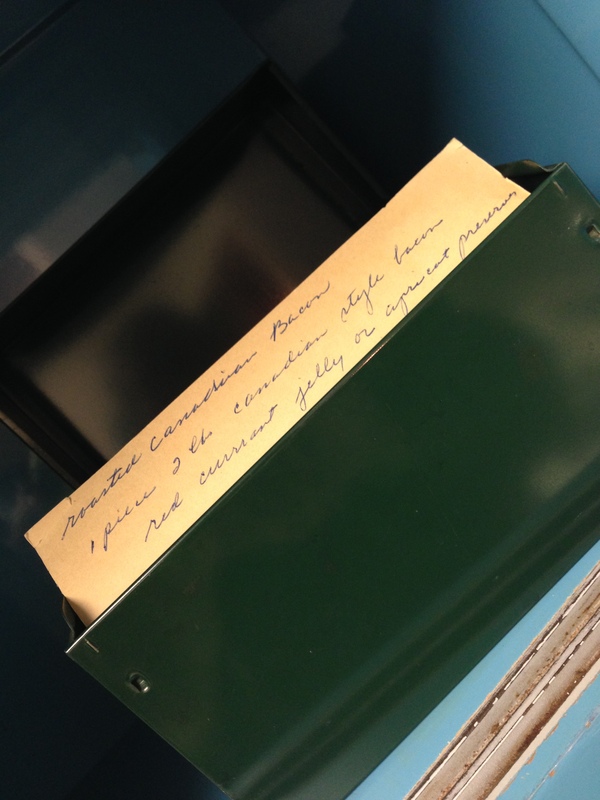 You could see the Armstrongs’ recipe box. Duke Ellington called Armstrong “an American original.” Pops liked all types of music, not just jazz, and kept a well-used reel-to-reel tape deck with a collection of 750 tapes. He once made a country album and among his first recordings was a duet with Jimmie Rodgers. His den was his sanctuary, the only place in the house he could smoke weed. Pot, he said, insulated him from racism. 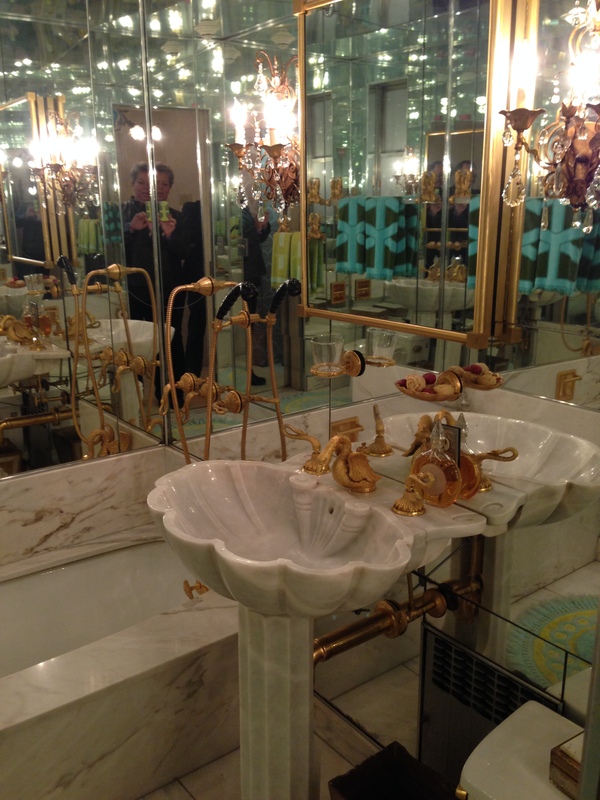 What about that 14-carat-gold-plated bathroom? High style for Corona, Queens. A young woman with cat eye glasses was giving a guided tour to her boyfriend as we passed through the upstairs rooms. She had been there many times before. Look at the wallpaper, she said. I just love the decor, she told me, it has so much of them. So many things change. This hasn’t. The telephone number for the museum is the original for the Armstrongs’ house.